There is something about the holiday season that just puts you in a good mood! I have been smiling today nonstop! I just like smiling; smiling's my favorite--good ole' Buddy the Elf. Any who! Yesterday I was baking up a storm! Ended up making around eight dozen cookies. Hobby Lobby had the most adorable holiday tins, so I snatched up a handful of them. After the cookies were-were done, I stuffed the beautiful tins with the cookies. 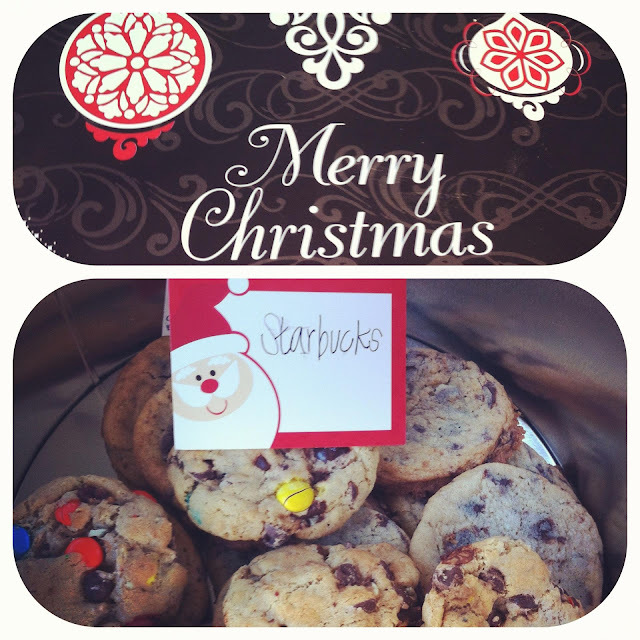 Some of the cookies are for friends, families, co-workers and local businesses.